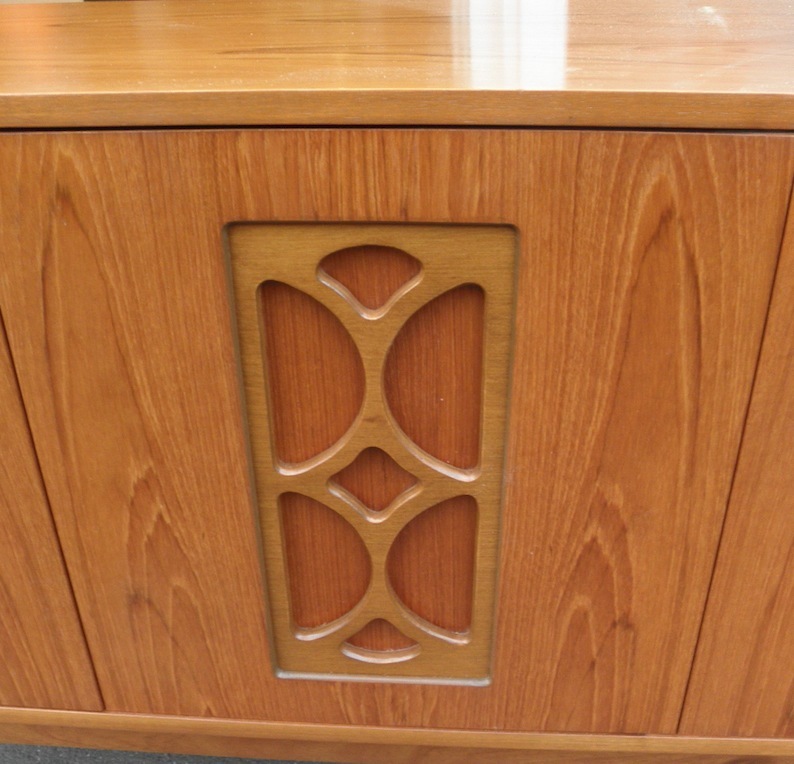 This Avalon Australian made sideboard has the classic fretwork panels of their other furniture featured in the doors. It has a great quality build and is in good original condition with fitted drawers behind one of the doors and shelving in the other three. 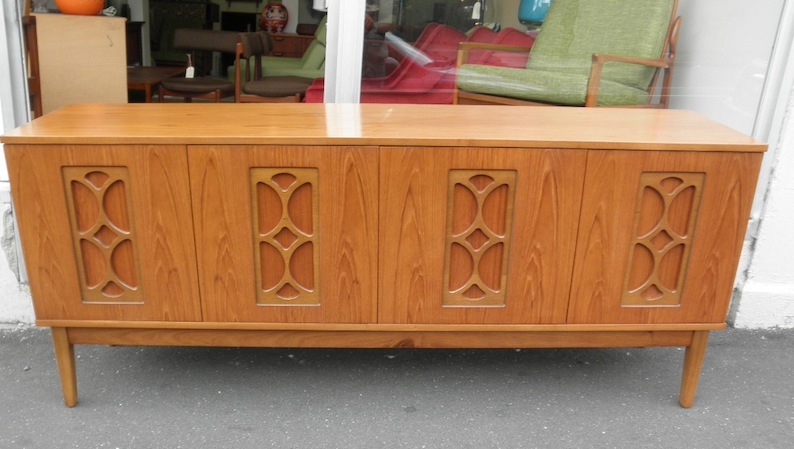 Great as a buffet or TV stand /sideboard it has a great mid century Danish style and is amazing value for money. Approx. 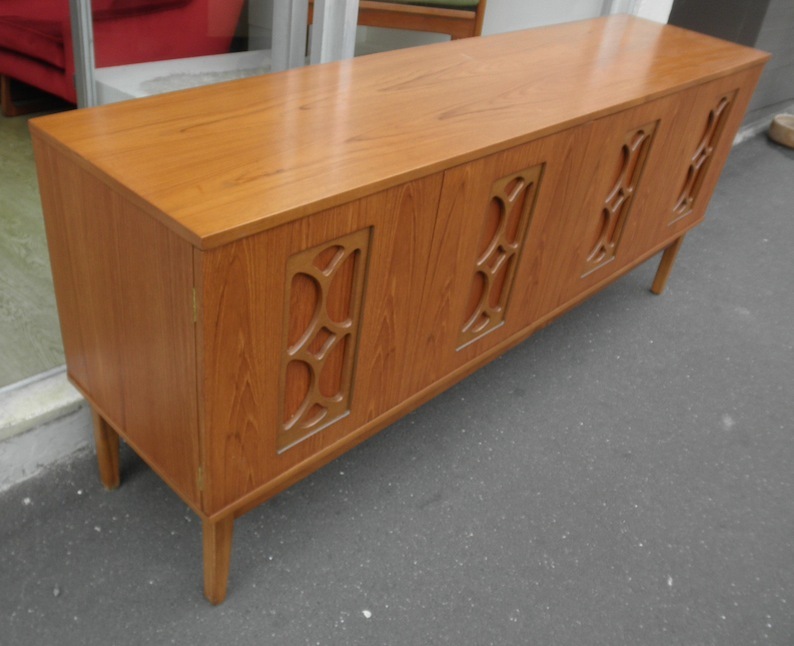 183 long x 45 cm deep and has a great long and low design.